The problem, as Trump's White House sees it, is that Democrats "want to make him look bad"
President Donald Trump's new budget deal has not only left conservatives feeling betrayed, it has caused both the president and his administration to feel like they must spin the spending package as a win. Trump is extremely upset that the media has been promoting "the idea he looked like the loser" in the negotiations, according to a report by Politico. During the daily White House press conference on Tuesday, budget director Mick Mulvaney told reporters that Democrats were "walking around trying to make it like they pulled one over fast on the president, and I just won’t stand for it." Mulvaney later added, when asked about the president's tweet threatening a government shutdown in September, that "the president is frustrated with the fact that he negotiated in good faith with the Democrats, and they went out to try to spike the football and make him look bad." The furious tweet in question was fired off on Tuesday morning. Mulvaney emphasizes to reporters that the Democrats "didn't get what many of them, including many in their base, wanted — they wanted a shutdown. They wanted to make this president look like he did not know what he was doing. And he beat them on that at the very, very highest level. They were desperate to show that we were not reasonable, and we completely destroyed that narrative by negotiating this deal. This is a huge win for the president." Trump is also being attacked from his right flank. 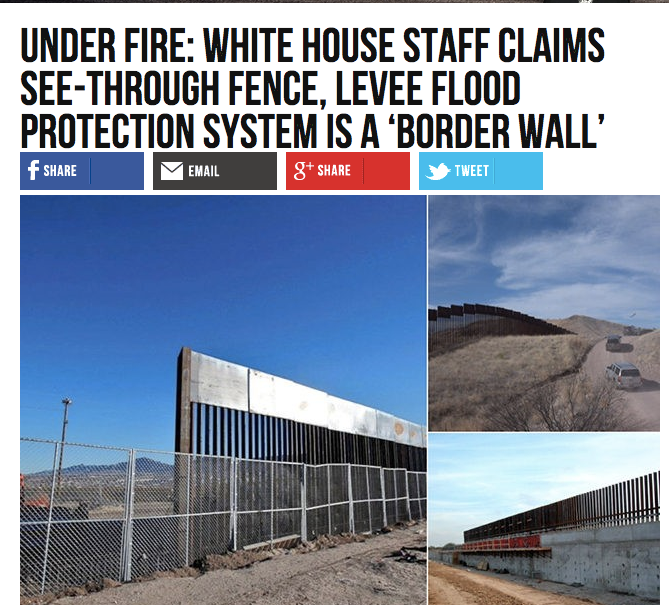 Breitbart, the right-wing news organization formerly chaired by his current chief strategist, Steve Bannon, blasted the White House because what the White House touts as a border wall is instead "see-through fence, levee flood protection system." 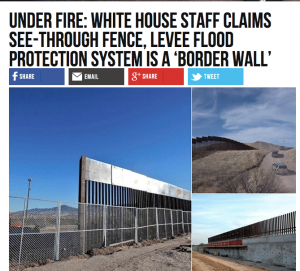 "President Donald Trump’s White House communications team is claiming inaccurately that there is border wall funding in the spending bill before Congress right now," Breitbart notes. National Review was also scathing. A column by Ben Shapiro insisted that "we're now more than 100 days into the Trump presidency, and not all that much has gotten done."